Be the first to share your favorite memory, photo or story of Vincenza. This memorial page is dedicated for family, friends and future generations to celebrate the life of their loved one. CAPPELLINO-VINCENZA M. (nee Asarese) "Jenny"
To plant a tree in memory of Vincenza M. "Jenny" Cappellino, please visit our Tribute Store. Tonawanda Chapel-Amigone Funeral Home, Inc. The family will be present to receive friends Wednesday April 3, 2019 from 6-8 PM at the (Tonawanda Chapel) AMIGONE FUNERAL HOME, INC. 2600 Sheridan Dr., (cor. Parker). Where Funeral Services will be held Thursday morning at 11:00 AM. 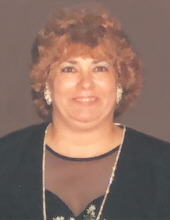 "Email Address" would like to share the life celebration of Vincenza M. "Jenny" Cappellino. Click on the "link" to go to share a favorite memory or leave a condolence message for the family.